The perfect gluten-free, salt-free seasoning blend for hospitals, long-term care, or home use. 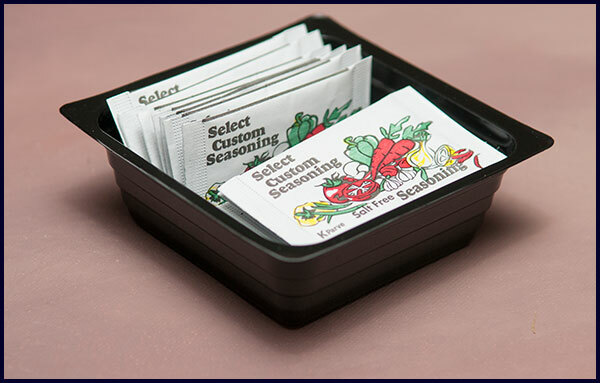 SELECT Custom Seasoning Individual Packets allow you to flavor your food without using salt. Economical, gluten free, kosher, and salt free.